The Aeris Weather Maps Platform (AMP) continues to grow as a leading service for weather maps. It’s not only easy to use and flexible, but offers a wide variety of visualizations to tell the weather story. Over the past few weeks, we have been continuously expanding AMP with a unique set of tropical layers, a new geocolor satellite layer, and a new air quality layer. Even with all the new and exciting additions, radar remains the most popular layer within the Aeris Maps Platform. Thus, we are constantly working behind the scenes to improve both its coverage and quality. As such, we are announcing the next expansion of our radar coverage to include several new regions in Europe! 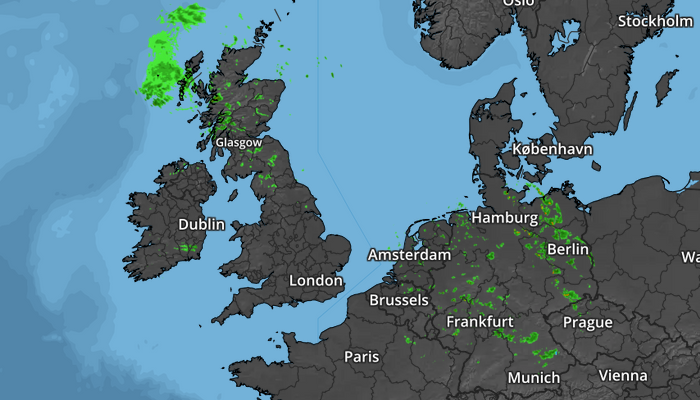 We have added radar information from the UK Met Office and the German Meteorology Office, known as Deutscher Wetterdienst (DWD). With these additions, we now provide radar coverage for the UK, Ireland, Northern France, Belgium, the Netherlands, Germany, Switzerland, Luxembourg, and more. This is just the first step as we continue to expand our radar to include more locations within Europe and globally. Radar within Europe updates approximately every 10-15 minutes and is available via our standard radar layer. Because of this, no development changes are required and the European radar is already available to all AMP subscriptions! Similar to the license requirements for Canadian and Australian radar, acknowledgment is required to be given to the UK and German sources when using these new regions. Please review the AMP license and credits for more information. 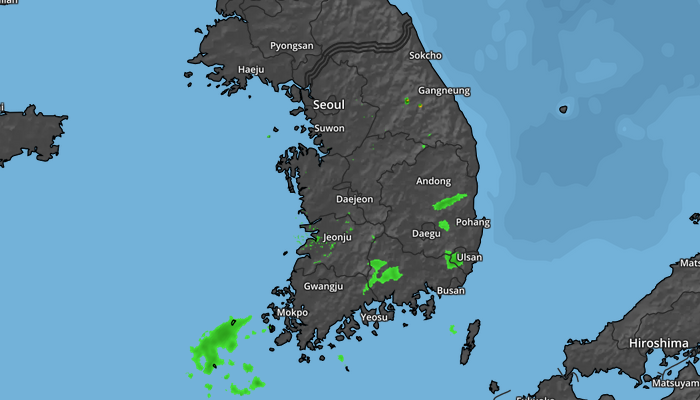 In addition to adding Europen radar, we have also improved the radar coverage for South Korea. Now, we provide a larger coverage area and improved precipitation detection. The new European radar and improved South Korean radar products are now available as part of the standard AMP radar offering. This means the radar is available to all AMP subscribers, including our free developer trial accounts!